Some of our Great Creator's most majestic of animals Don. I love them even though I have a fear of being on one. 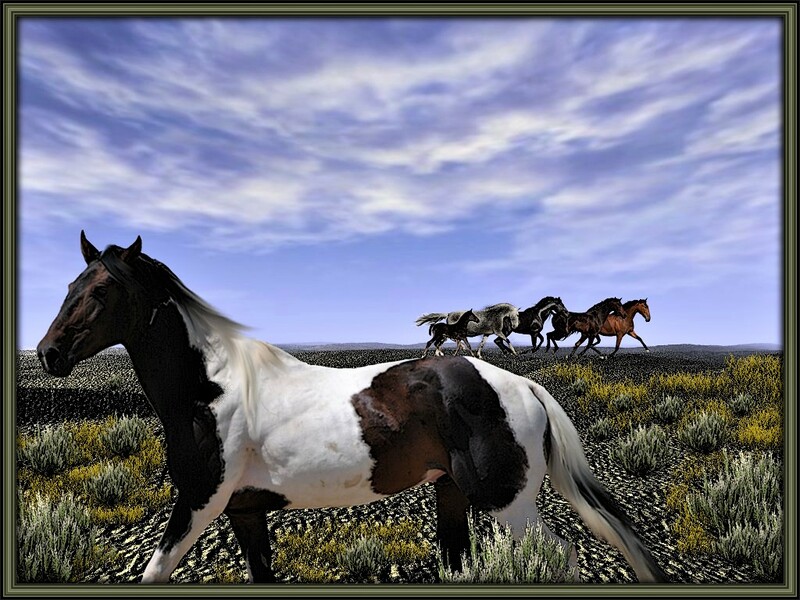 Your horses are so beautiful and running free in a glorious landscape. oh how beautiful. We have that here in NC. Thanks Val ,they are on a island off NC aren't they and small horses ? Yes they are off our cost nd they re small horses.